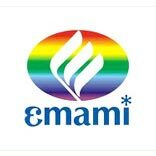 FMCG giant Emami has announced its latest investment plans at 30th Annual General Meeting held in Kolkata. As per the latest announcement, Emami is all set to come up with a new hospital at Rajarhat, in the Eastern part of Kolkata. The company is looking to invest Rs 500 crores in its hospital project. The hospital will have around 450-500 beds. The company official also informed that land has already allotted by the Government to the Group 2 years back. A cement grinding unit is being also planned in West Bengal with an investment of around Rs 500 crores. However, the location of the plant is still not decided, as of now two locations at Mejia (Bankura) and Purulia have been identified but the location is yet to be finalized. The plant will be a part of Emami Cement Ltd. Speaking on development, Harsh Agarwal, Director Emami ltd informed that a new manufacturing unit is also expected to come in Assam. The new manufacturing unit will produce personal as well as health care products. The project is expected to complete by the end of this year or beginning of New Year. The company at present has 8 manufacturing units including one in Bangladesh.